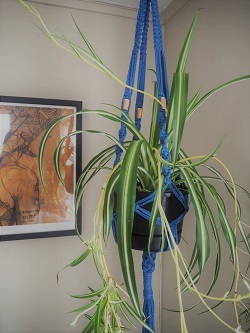 Ever wanted to be able to macramé, but don’t know where to start? Learn all the basic knots and create your own macramé plant hanger. In this introductory course, we’ll spend two sessions exploring the 18 basic knots that form the basis of all macramé pieces. Once you’ve mastered these, you’ll then choose one of two designs to create your own plant hanger. You’ll also learn the tools you need to understand how to read macramé patterns, source rope for projects and get ideas and resources for subsequent projects. Some materials provided but please bring a ruler, scissors, masking tape, 4 pegs, a standard-sized crochet hook and a wool needle.